While most would agree that reading is a fundamental skill that every child needs to reach their full potential, in today’s world, many adults don’t carve out dedicated time to read each day. With the time demands that come along with being a parent, it can be even more challenging to make time to read after the kids arrive. However, it is not uncommon for parents of young children to find themselves reading more frequently due to a desire to read to their children. Below, you will find additional information about reading to your baby. There are a variety of benefits for your child that come from reading to your child that can aid in their growth and development. The time you invest into reading books together will help in speech development as your baby hears the speech patterns of the book and tries to emulate them. Those emulations will eventually turn into words, sentences, and even discussions one day. Reading to your baby can also help them build a strong vocabulary as they get older. However, one of the most satisfying benefits is that you help your kid to develop a lifelong love of reading. The American Academy of Pediatrics (AAP) recommends that you begin reading to your baby as early as possible. 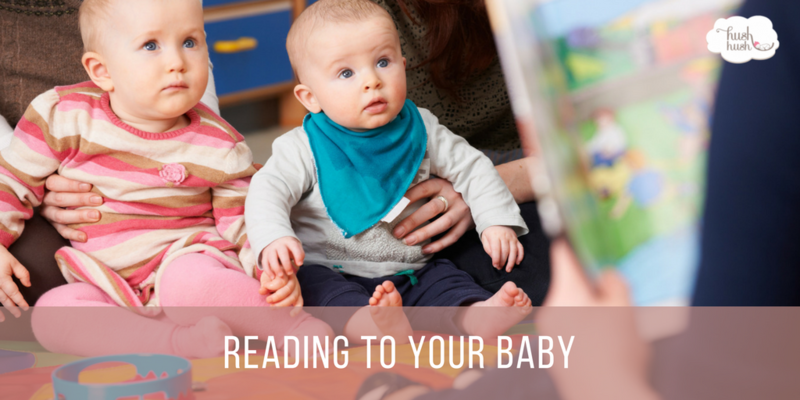 While there are not many definitive studies on specific effects of reading to newborns, it is currently believed that there are no adverse effects to reading to infants, but there may be some positive correlations. It is a fantastic idea to include your child whenever you make time to read but as they grow older, make sure that you are reading things that are appropriate for all ages. You can also incorporate reading into specific aspects of your daily routine or schedule while still allowing for spontaneity. While there are many excellent books to choose from for reading to your baby, it is necessary to choose books that will engage your child and encourage them to participate. Eating the edges of books is normal for infants so be sure to pick out books that won’t be ruined from a little gnawing. You may also want to read books that are unique to certain topics or hobbies to help build interest in those things. For a list of some specific books to read at various ages, check out this article from Time Magazine online.